Regardless of one’s sortie, this past winter has been trying. It could take an uplifting event to put us in the right frame of mind to fully enjoy the “seasons” ahead. The approaching spring turkey season may do just that, starting with the purchase of license, stamp and leftover authorizations (permits). Scouting, landowner contacts, gear assessment and calling practice are all just one step from an actual hunt. The learn-to-hunt sessions, youth hunt (April 13-14), and helping a friend during the early periods are all ways to bring back some excitement. 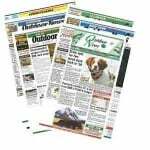 There are associated activities that overlap with the early turkey hunting periods, too. Shed antler searching, morel and leek gathering, and taking in a late morning trout fishing experience may match with some periods. 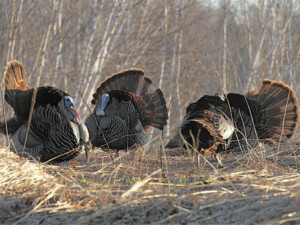 Turkey hunting seems to have hit a plateau of late, fall and spring. It sometimes shows in success rates, too. Could it be that the season always follows what is sometimes a gloomy season of cold and white? Play a trick on those depressions – start early with related activities, and maybe a purchase of an extra authorization, or two, will be necessary.